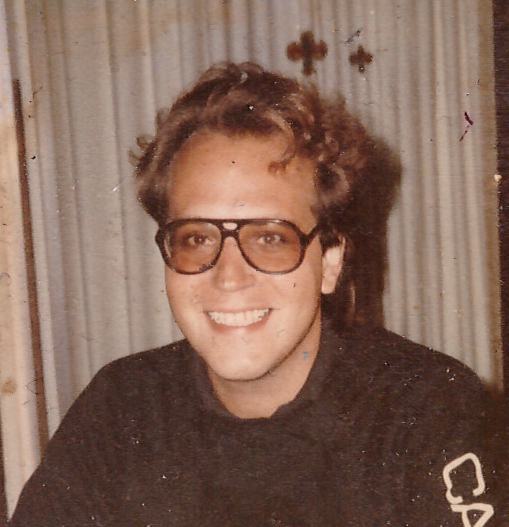 Mark Andre Boucree, a native and lifelong resident of New Orleans, LA passed from this life into the presence of Our Lord on Thursday, March 21st, 2019 at the age of 58 years. Mark is preceded in death by his dear mother, Theresa “Terry” Blaum Boucree, father, Roland J. Boucree, several aunts and uncles. Family members left to cherish his memory include his brother, Matt Glenn Boucree (Cathy), nephews Matthew Paul Boucree, Jonathan Michael Boucree, great nephew Elijah “Eli” P. Boucree, Uncle Paul Blaum (Kay), Aunt Marie Blaum Adams, numerous loving cousins (Blaum, Boucree, Exnicios, Mayard) in Louisiana, Texas and California. Mark graduated from First Assembly Academy in New Orleans. He was an accomplished DJ who passionately studied the history of Rock & Roll. Mark had an exceptional gift remembering facts of the smallest details. The Boucree family extends their thanks and gratitude to the physicians and nurses of Ochsner Foundation Hospital, University Medical Center, the caring staff of St. Anthony Healthcare and a special thanks to Anthony Christiana with Passages Hospice. Relatives and friends are invited to attend the funeral services at 12:15 pm in the J. Garic Schoen Chapel of JACOB SCHOEN & SON, 3827 Canal Street, New Orleans, LA 70119 on Thursday, March 28, 2019. Visitation will be from 11:00 am until the service time. Interment will follow in St. Joseph Cemetery No. 1. In lieu of usual remembrances, contributions to a cancer research organization of your choice are preferred. To view and sign the register book, visit www.schoenfh.com.